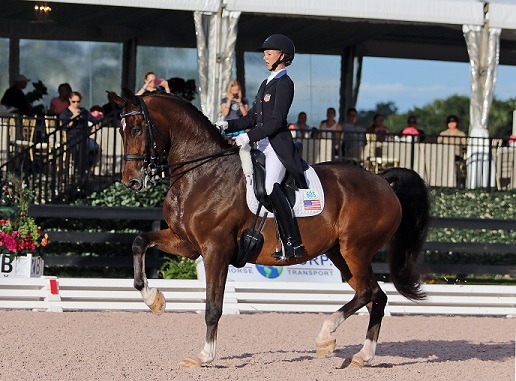 The Dressage Foundation (TDF) has announced that U.S. High Performance rider, Laura Graves, has been awarded the 2016 Carol Lavell Advanced Dressage Prize in the amount of $25,000. She was selected because she displays the characteristics and qualities of being a talented, committed, qualified rider whose plans are to reach and excel at the elite, international standards of high performance dressage. Laura Graves is based in Orlando, FL, where she trains and competes with her Dutch Warmblood, Verdades, or “Diddy.” Laura’s goals for 2016 include qualifying for the World Cup Finals in Sweden and to be selected to represent the U.S. in the 2016 Olympic Games. She plans to utilize the month of March to train intensively with Debbie McDonald. After the World Cup, she plans to join the American team in Europe and compete at two European CDIOs in Rotterdam and Aachen. The Carol Lavell Advanced Dressage Prize Fund was established in 2009 in special remembrance of Carol's mother, May Cadwgan, and in honor of her father, Gordon Cadwgan. Since that time, the Prize Fund has made ten awards totaling $250,000 in support of U.S. High Performance teams. Further details about The Dressage Foundation’s Carol Lavell Advanced Dressage Prize can be found at www.dressagefoundation.org. The application deadline is December 13th of each year. For more information about The Dressage Foundation, please contact Jenny Johnson at (402) 434-8585 or visit our website.